Showbie: Create and Collect Assignments on the iPad! Projects are fun and easy to create using an iOS device. The problem can arise with trying to collect the projects from students once they are complete. For many, email seems like the only answer. Fear not! The Showbie app may be the solution you are looking for. 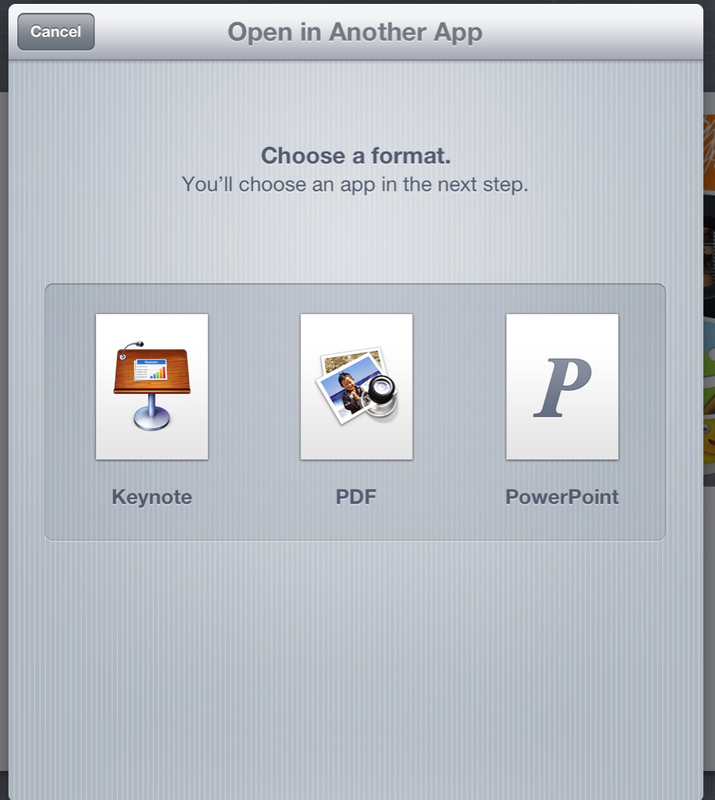 Showbie is a FREE app that can be used to create and collect assignments right from the iPad. Once you download the app, create a free teacher account. Then you are able to create classes within the app. You receive a code for each class for your students to connect with. After students have created their accounts they are able to enter the code to join your class. Open the class folder to create an assignment. You can add text, audio, an image, plus more options to let the students know what the assignment is and what is expected. 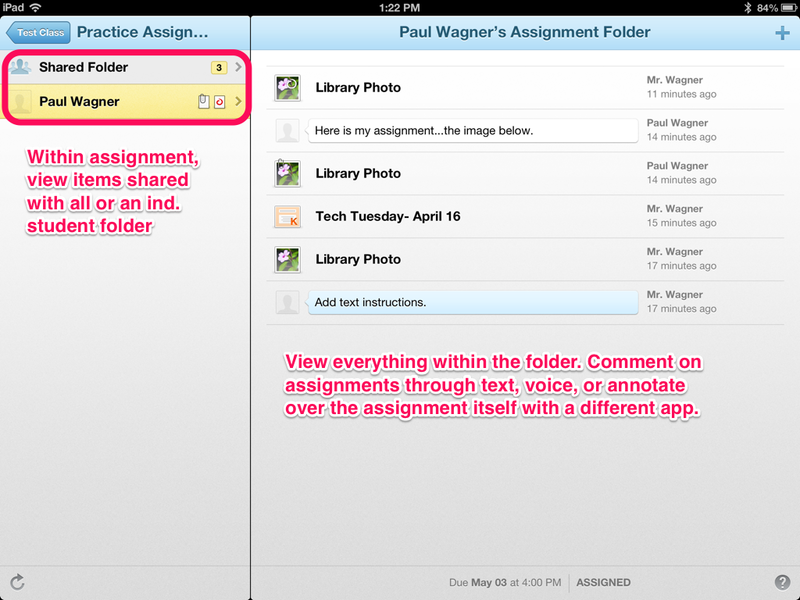 The assignment is automatically loaded into each student’s folder that has joined that class. Once the student has received the assignment they can complete it and then hand the assignment in right through their Showbie folder. You can use the same audio, text, or image options. 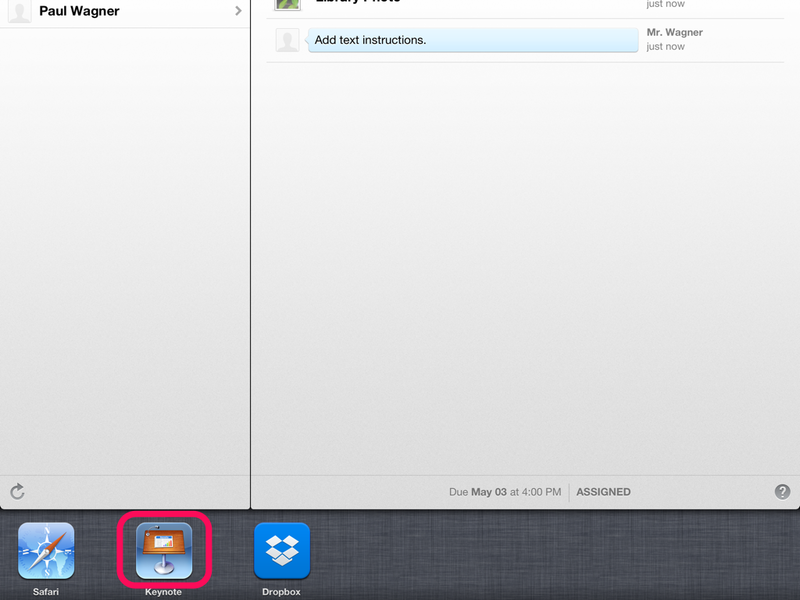 What sets Showbie apart from other apps, though, is the ability to turn in assignments directly from other apps. Hand in files from Pages, Keynote, or many others. 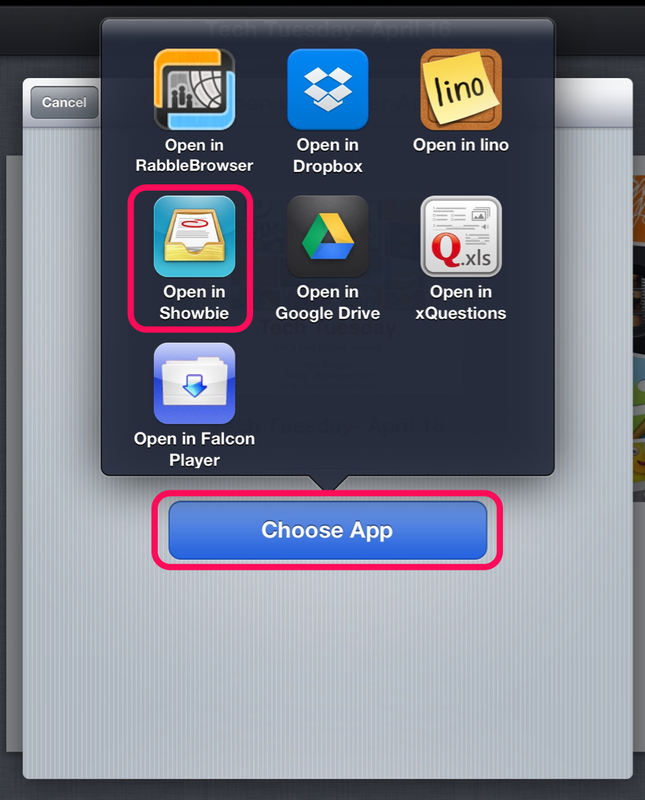 Showbie becomes an export option for many of the apps you already use for creation. 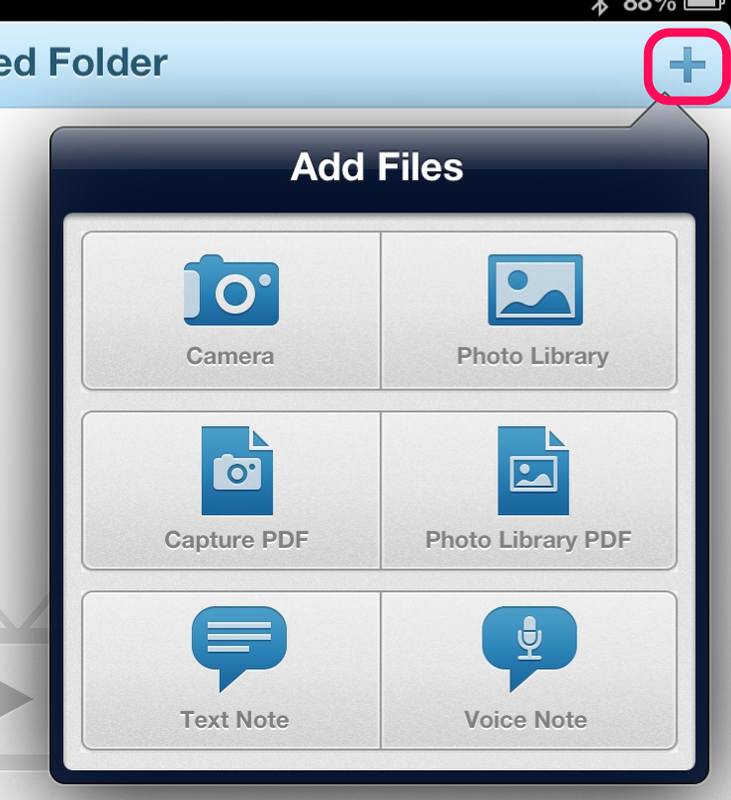 Choose to export the file and choose Showbie as the option. It will export it into the folder you are accessing at the time. 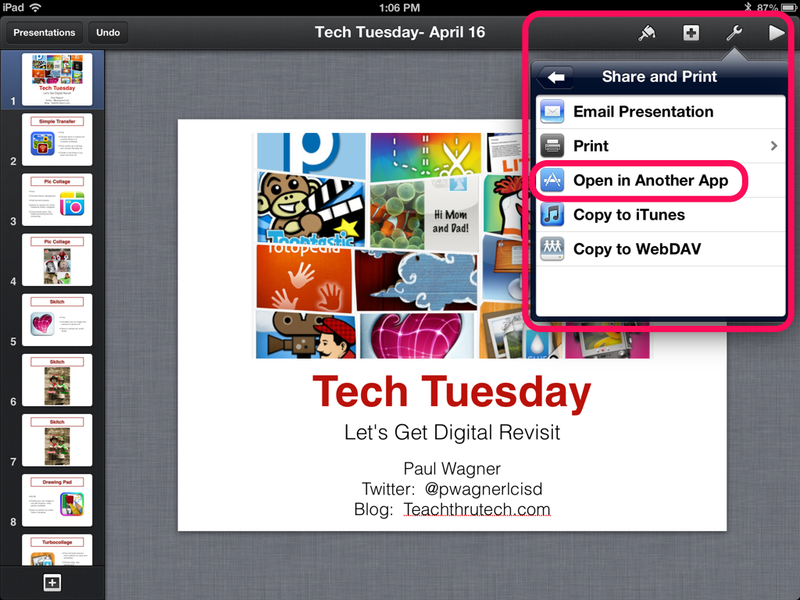 See below for an example of adding a Keynote file to the assignment folder. 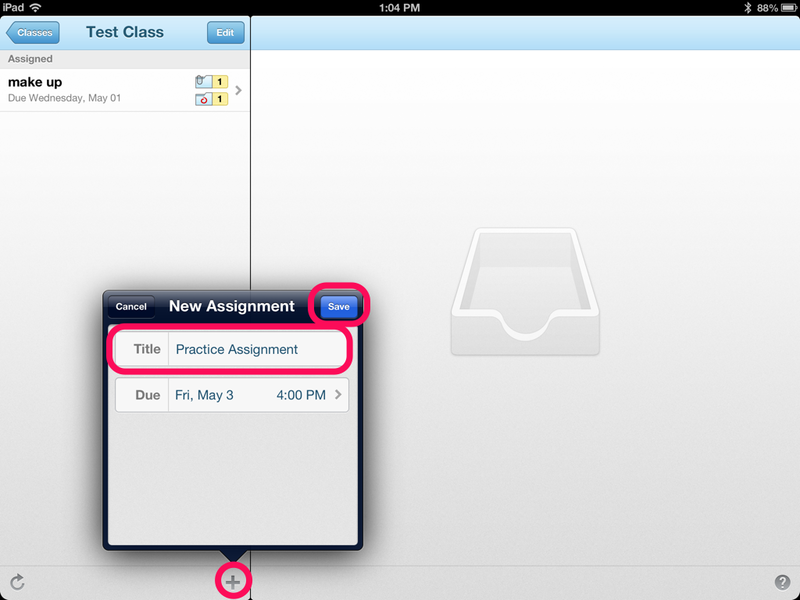 Once the assignment is turned in, you as a teacher can go back in and view the assignment within the student folder from the iOS device or a computer (by visiting Showbie.com). Write a note back to the student about the assignment, or use another ap,p such as Skitch, to annotate over the top of the assignment with notes you have for the student. Then save that file back to the Showbie folder. Keep the dialogue open between you and your students to improve the final product. Get your students creating on the iPads. Then use Showbie to easily collect all the products your students are creating. Awesome information. Thank you very much! When a student logs in they should see their classes. Click on the class to see the assignments that are due. The teacher must post the assignment to the students so they have a place to turn it in.